Notorious French comedian Dieudonné M’bala M’bala has been arrested for being an “apologist for terrorism” after suggesting on Facebook that he sympathised with one of the Paris gunmen, a judicial source has said. Prosecutors had opened the case against him on Monday after he wrote “Tonight, as far as I’m concerned, I feel like Charlie Coulibaly” – mixing the slogan “Je suis Charlie”, used in tribute to the journalists killed at magazine Charlie Hebdo, with a reference to gunman Amédy Coulibaly. Dieudonné was arrested on Wednesday. Coulibaly killed four people at a Jewish supermarket on Friday and a police officer the day before. The comedian made international headlines in 2013 when French footballer Nicolas Anelka was banned for five matches by English football authorities for using a gesture created by Dieudonné that many consider to echo the Nazi salute. Dieudonné posted his controversial Facebook post after attending Sunday’s unity march against extremism that brought more than 1.5 million people on to the streets of Paris in the wake of the attacks. He described the march – considered the biggest rally in modern French history – as “a magical moment comparable to the big bang”. 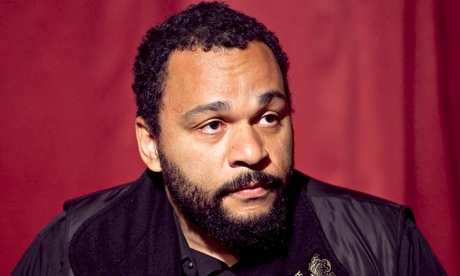 The French government has in the past banned Dieudonné’s shows because it considers them “antisemitic”. Dieudonné has removed the remark from his Facebook page.